Michael Maloy comes from a long line of craftsmen. You might say woodworking is in his blood. Five generations ago, his great, great grandparents were the first settlers on Marco Island, Florida, sailing supplies from Fort Myers to Key West. The Maloy family heritage cultivated many boat builders over the years. Michael’s grandfather and father started a wood working business in the late 60’s. Later, Michael’s dad started Southern Wood Products, one of the biggest shops in Fort Myers, FL. Michael worked alongside his father crafting wood for 20 years. The business was sold and as a family, all decided to move to the mountains. 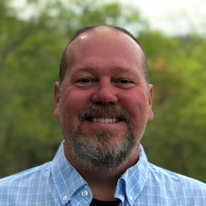 In 1999, Michael started Southern Heritage Wood Products, a high-end millwork company located in Franklin, North Carolina, and working the Highlands, Cashiers and Lake Toxaway area. Michael specialized in custom casework, cabinetry and millwork. He sold his business in 2009 and stayed on as an employee for 5 years. In 2015, Michael started High Mountain Millwork Company. 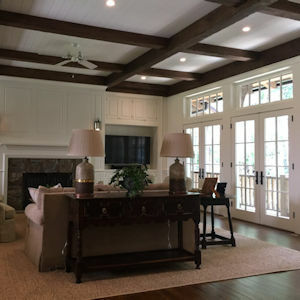 This Franklin, North Carolina based millwork company specializes in reclaimed wood products, trim, doors, floors and stair parts. 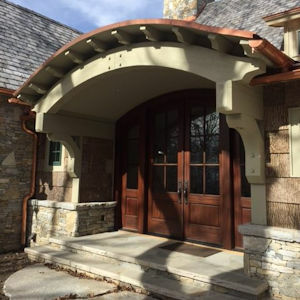 High Mountain Millwork Company serves both commercial and residential builders, architects, homeowners, and the general public. We specialize in unique solutions to your building and design needs. Looking for reclaimed wood flooring? An elusive mantle? Or maybe a custom wood detail? We're here to help! 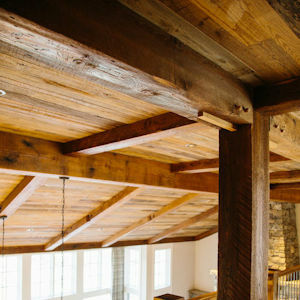 With over 40 years of woodworking expertise, High Mountain Millwork Company offers a full product line of reclaimed and wood specialty items along with custom millwork services. Give us a call today! We offer multiple options for new and reclaimed wood flooring and represent several flooring manufacturers who produce many species and sizes, solid & engineered. Finding a supplier and obtaining a custom molding profile can sometimes be an arduous task. We'll take the worry out of the process and bid your project based on plan take off specifications. When you just can't find that off the shelf piece or want a design element exclusive from the others, custom millwork may be the option for you. We help create stunning environments with your goals in mind. "Mike, Thank you for always working hard to get me what I need when I need it! I like the fact you can provide it all turnkey. Keep up the good work." Please give us a call at (828) 421-1763 before visiting to ensure that we are not out on a delivery.